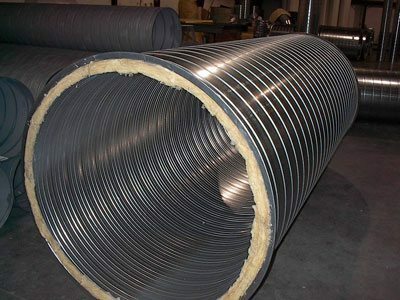 Hamlin Sheet Metal is a nationwide provider of round, flat oval, rectangular, and spiral duct systems, as well as welded ducts. Hamlin Sheet Metal has been providing commercial and industrial market clients quality sheet metal duct and ductwork manufacturing services for over 60 years. With over 100,000 square feet of manufacturing space, computer-aided design, and state-of-the-art fabricating equipment, Hamlin Sheet Metal has virtually unlimited fabrication capabilities. 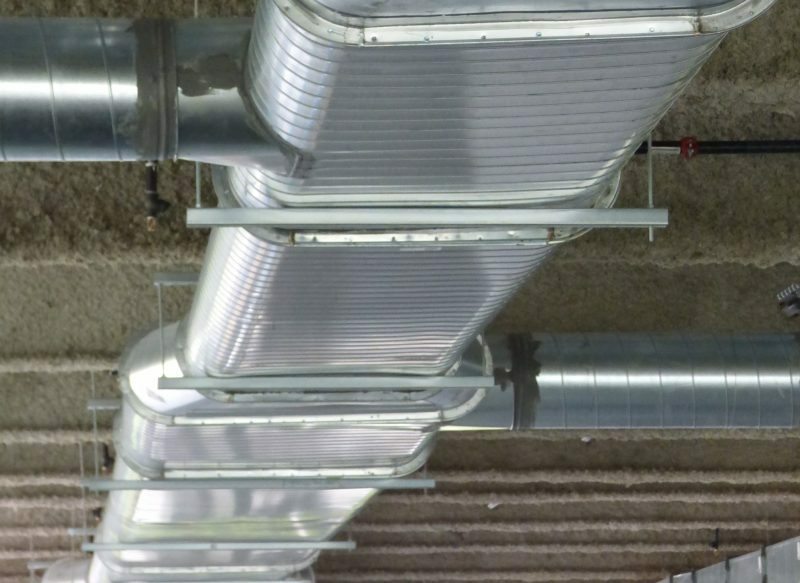 Our quality control is unsurpassed in the industry, and our association with ASHRAE, SPIDA, and fabricating in strict accordance with SMACNA and ASHRAE standards assures clients that Hamlin ducts are manufactured to the highest standards. Hamlin Sheet Metal specializes in manufacturing single and double-walled spiral round ducts using a variety of materials for a full range of facilities and applications. If you are seeking further information about our custom duct manufacturing capabilities and the ducts we produce, we invite you to visit our Duct Resources page. Rectangular ducts fabricated in strict accordance with SMACNA and ASHRAE standards. 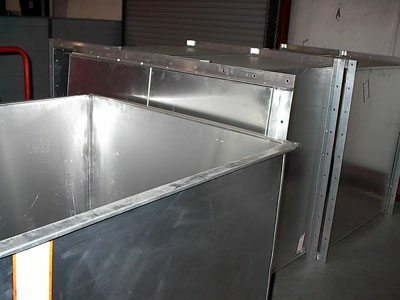 Each ductwork manufacturing project we take on is unique, because each client has their own special application and each facility has different challenges. 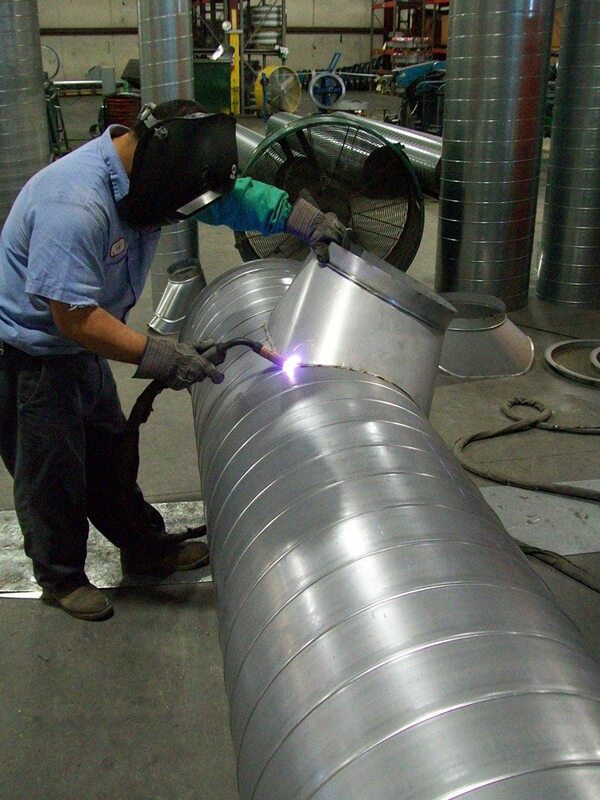 Click below to see examples of our wide-ranging experience with ductwork manufacturing projects. Hamlin Sheet Metal Products are sold in the U.S. through designated and territory specific manufacturer representative firms who service mechanical contractors, commercial HVAC contractors, mechanical engineers, general contractors and building owners. Please contact Hamlin Sheet Metal for the manufacture representative in your area.